NLA combines an unmatched professional atmosphere through its staff and facility to concentrate on enhancing sport specific performances for clubs, teams, and athletes of all levels. The newly renovated indoor field complex has been engineered to handle everything from recreational practice to high level pro development. The complete renovation included installing a new 80x40 yard turf field with half field privacy dividers. The indoor sports complex includes viewing area, event rooms, video/audio systems, pro shop, and snack bar with grille. Our outdoor sand courts replicates playing any sport at the beach. 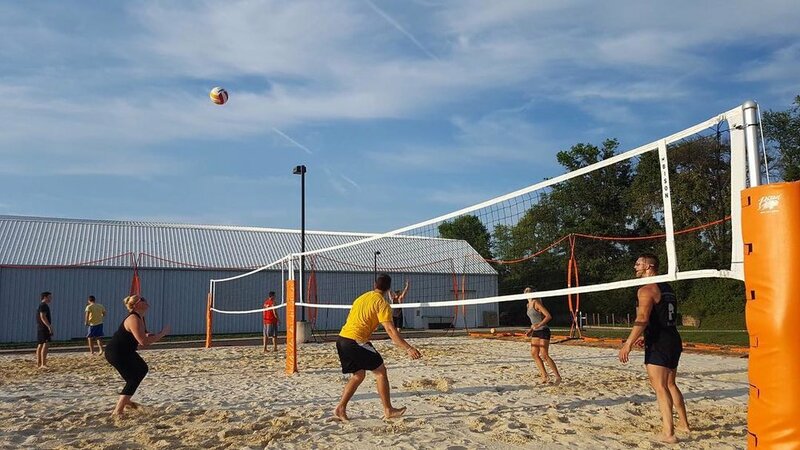 We offer a professional sand arena which will serve as a venue for leagues and tournaments for sports like volleyball, and spikeball. Our outdoor arena is netted for protection. Refunds will be given if requested at least 24 hours before the start of the program. Once a program officially begins, refunds will not be given unless due to an injury to the participant with the submission of a doctor's note. Site credit may be applied for recurring programs. Refunds will be given any time Nex Level Arena cancels a program or if we change the original date/time of the event and the participant is unable to attend.